I guess that a large number of people would like to know costs such as energy production cost/Kwh, cost of construction AD plants per unit of energy output etc. Sadly, this cost information is considered to be commercially sensitive, and rarely if ever published in the public domain. Although the cost of an anaerobic digestion plant is high, by using your farm waste to generate heat, electricity and biofertiliser, you’ll save money in the medium to long term and open up new income streams. More and more farmers are using anaerobic digestion to turn their farm wastes into energy, cutting their own energy costs and attracting additional subsidies. Some are even selling the electricity to the national grid – and see the investment as more secure and profitable than expanding their herds. We made the video which follows to highlight the availability of costs information in an EU publication published in 2015. The information on the costs of case studies, construction cost, and payback times may not be as up to date as we would like. Nevertheless, this is a rare document as it does contain information on the costs of these smaller AD plants, and likely revenues. To download the Pocket Digestion Plants report click here. The on-site bio-energy plant was designed and built by Clearfleau for food sector client, global food and beverage supplier Nestlé’s Fawdon confectionery factory, near Newcastle. The financial and environmental benefits from Clearfleau’s plant are contributing to Nestlé’s efforts to develop environmentally-sustainable manufacturing at Fawdon, as a beacon site for the overall organisation. One year after commissioning, the plant is converting 200,000 litres per day of feedstock into renewable energy. This feedstock includes wash waters from the site and 1,200 tonnes of residual bi-products and ingredients per annum. The biogas produced is fuelling a combined heat and power (CHP) engine, which produces 200 kW of electricity, used in the confectionery production process. This is about 8% of the factory’s power requirements, cutting the annual electricity bill by about £100,000 per annum. In addition, the site has registered for the Feed-in Tariff, and will receive annual payments of about £250,000 per annum. …The payback period on Nestlé’s investment in Clearfleau ‘s AD plant is predicted to be four-five years. The company ‘s chief executive, Craig Chapman, said: “Clearfleau was delighted to be selected by Nestlé to deliver this important plant and we very much appreciate their collaborative approach to the delivery of this project. For Nestlé, what was previously a processing overhead is now a valuable financial and environmental asset. The [UK] anaerobic digestion (AD) industry outside of the water sector has grown by over 600% in the past five years, partly thanks to innovation from world class UK researchers.ADBA has appealed for academia to focus their current efforts behind delivering major improvements which would put the cost of AD on par with the cost of energy from Hinkley Point C.
The call came at ADBA’s two day Research & Innovation Forum 2016 in York last week (April), which centered on industry efforts to drive up operational efficiency and drive down costs. As incentives fall, academia will be instrumental in working in partnership with the AD industry to ensure UK operations continue to thrive while we position ourselves as world leaders in a global biogas market worth billions. ADBA’s Chief Executive, Charlotte Morton, commented: “Falling incentives and unworkable funding caps hinder renewable technologies’ efforts to scale and improve their cost competitiveness. “With ever limited support from government, therefore, the AD industry is seizing the initiative by challenging the expertise of the UK’s world class researchers to help find innovations which will revolutionize performance even more. “Such as new sources of input, improvements in operational performance, more valuable outputs, to reduce the overall cost of production. 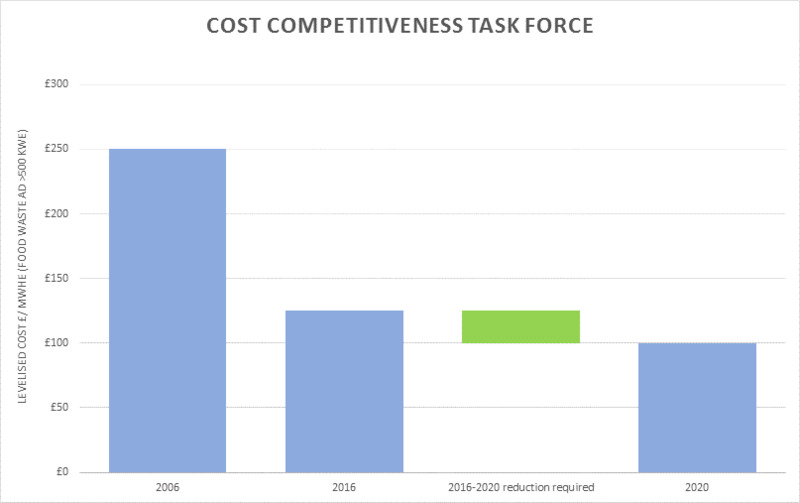 “During our annual Research and Innovation Forum this week, which brings together academia and businesses to collaborate on key AD priorities, we unveiled our Cost Competitiveness Task Force. Does an anaerobic digester cost too much? … Unfortunately, I can’t say we have the answer to how to make digesters really cheap or the revenues really valuable. However, after 10 years of research looking at virtually every idea, we now have a very convenient resource that helps to characterize the costs and revenues of an AD system. 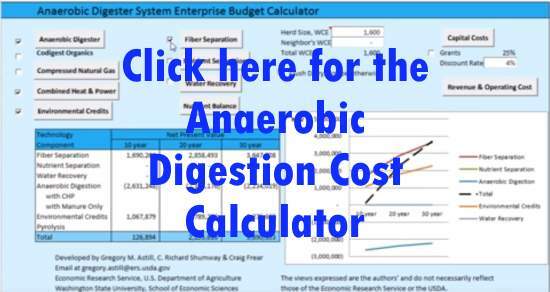 Anaerobic Digester Project and System Modifications: An Economic Analysis is a new WSU Extension Fact Sheet (EM090E) that breaks down a more comprehensive AD project scenario analysis into distinct pieces to help readers understand the economic considerations of an AD project. Center for Sustaining Agriculture and Natural Resources via Does an anaerobic digester cost too much? We recommend that you visit Washington State University at the above link. Download their pdf report which includes plenty of anaerobic digestion costs data. It should be worth reading. 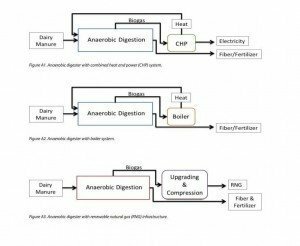 We hope that this article provided you with some valuable information on anaerobic digestion plant costs. Do you think that anaerobic digestion is too expensive? We welcome your comments below. If you would like to know more about these anaerobic digestion plants click here. Great info on what people say on costs. How about the income side of the equation? Diz – You ask for AD plant income data. We just added a new video we made, to help those of you who want both costs and revenue information. I really like your way of citing the original texts, excellent information, thankyou for posting. Strikes me. If/ When energy costs go up, bio-digester plants will be an earner : D.